Check out the brand-new trailer, then tune in exclusively on Stitcher Premium today! Today, Marvel and top podcast listening service and content network Stitcher have released the first episode of “Wolverine: The Lost Trail”, the highly anticipated sequel to "Wolverine: The Long Night", exclusively on Stitcher Premium! 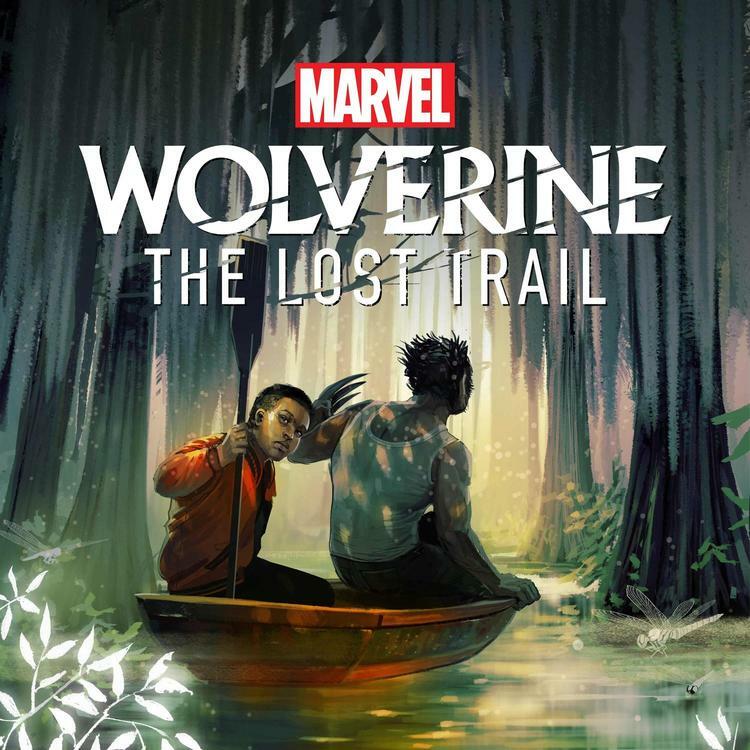 Marvel’s “Wolverine: The Lost Trail” is an epic quest that takes place in the Louisiana bayou. Following the events of Marvel’s “Wolverine: The Long Night,” Logan (Richard Armitage) returns to New Orleans in search of redemption, only to discover that his ex-lover, Maureen is nowhere to be found. And she's not the only one. Dozens of humans and mutants have gone missing, including the mother of a teenage boy, Marcus Baptiste. With Weapon X in close pursuit, Logan and Marcus must team up and follow a trail of clues that leads them deep into the gothic heart of the bayou, where they encounter biker gangs, Cajun thieves and a world of wonders that defies explanation. It is here that they find Greenhaven—a refuge run by a powerful mutant named Jason Wyngarde. Starting today, the 10-episode second season will air weekly, exclusively on Stitcher Premium, and will be released across all podcast platforms later in the year. The show’s cast includes notable actors Bill Irwin as Jason Wyngarde, Bill Heck as Remy LeBeau, Blair Brown as Bonnie Roach, Rachael Holmes as Maureen, and newcomer Rodney Henry as Marcus. Award-winning comic book author Ben Percy, director Brendan Baker, and associate director Chloe Prasinos will return for the series, produced by Daniel Fink and Chloe Wilson of Marvel and Jenny Radelet Mast of Stitcher. "In the first season, Logan remained largely in the shadows, a mystery even to himself—and a small Alaskan town was put under the microscope and slowly unburdened of its secrets," explains the series writer, Percy. "The second season flips the paradigm. Logan is not the destination of the story, he is the driver. The center of the narrative. The investigative format remains, but in this case, Logan is our savage detective. For more information on Marvel’s “Wolverine: The Lost Trail”, sign up for updates at www.wolverinepodcast.com.